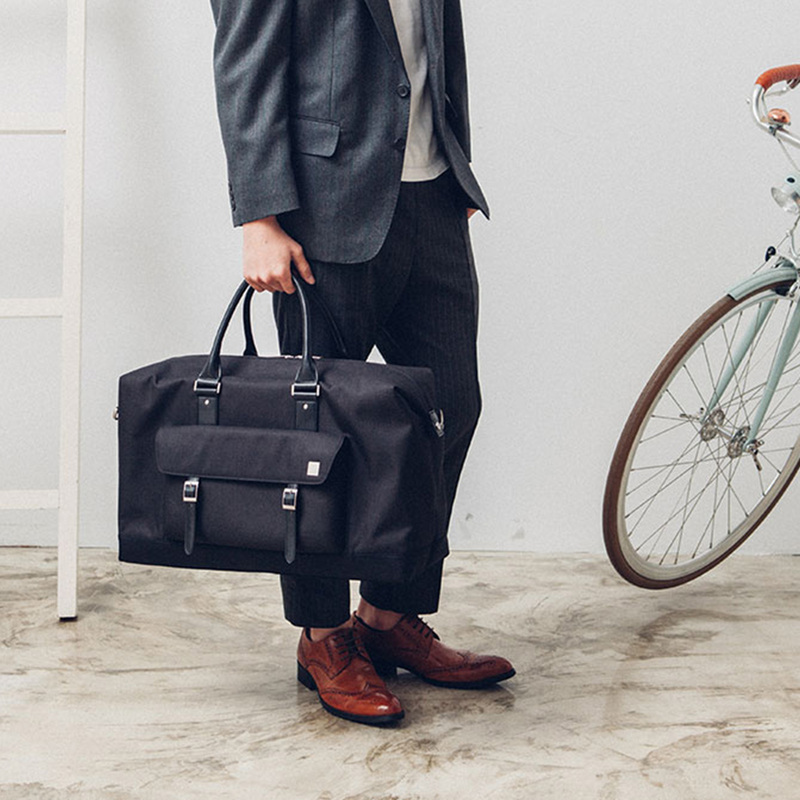 Carry all your belongings for those long-stay weekends. 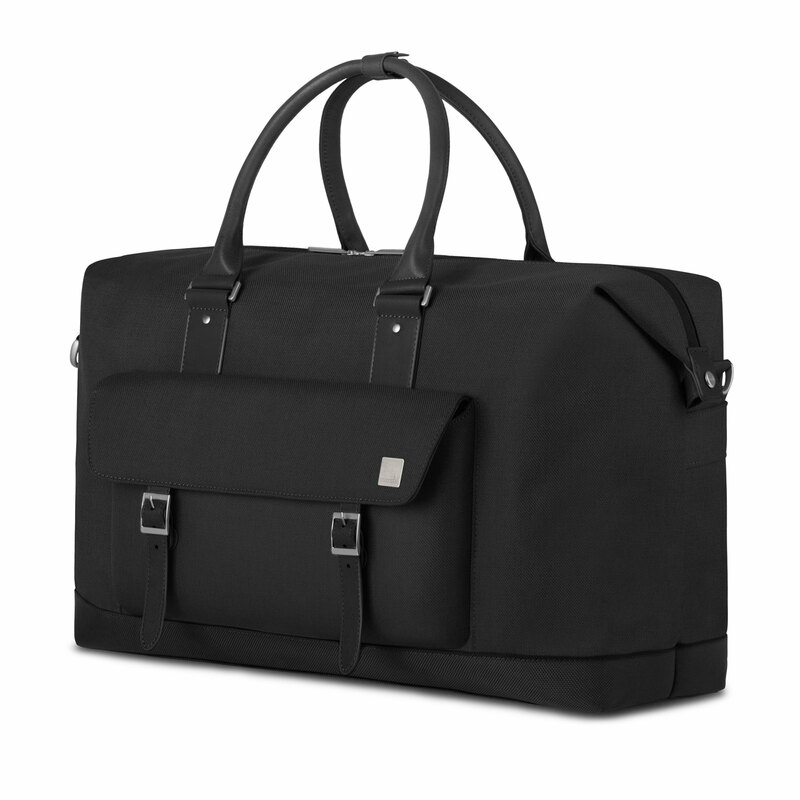 Includes a padded compartment for laptops up to 15", and a crush-resistant front compartment for sunglasses and other delicate items. Whether you’re heading out on a short business trip or spending a few days in the countryside, Moshi’s Vacanza weekender takes you there in style. 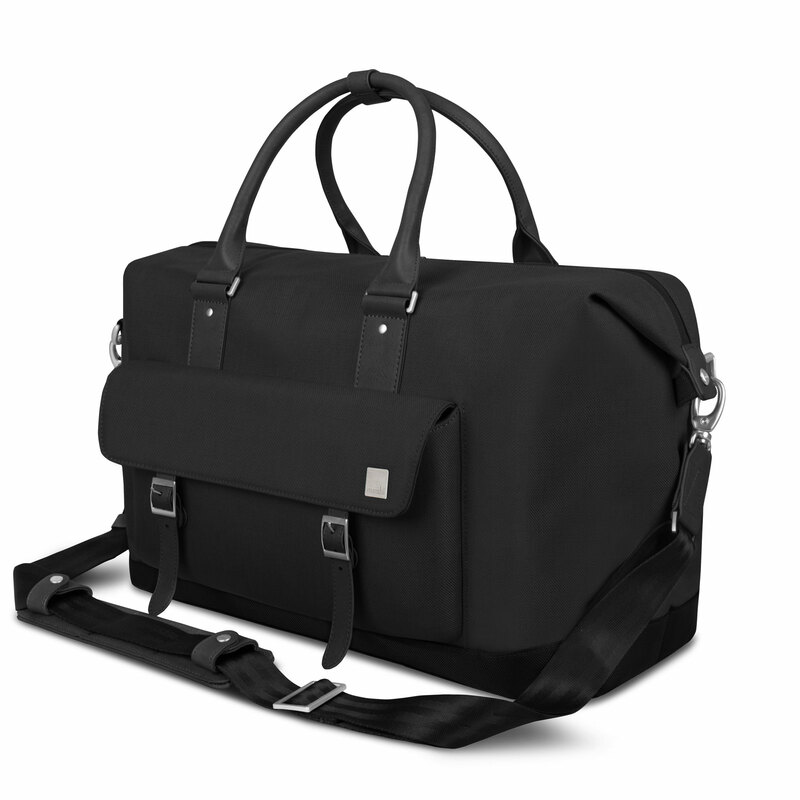 Made from ultra-light, weather-resistant fabric with vegan leather accents, its spacious main compartment holds clothes, shoes, and incidentals, and also expands to fit in any last-minute gifts or souvenirs. 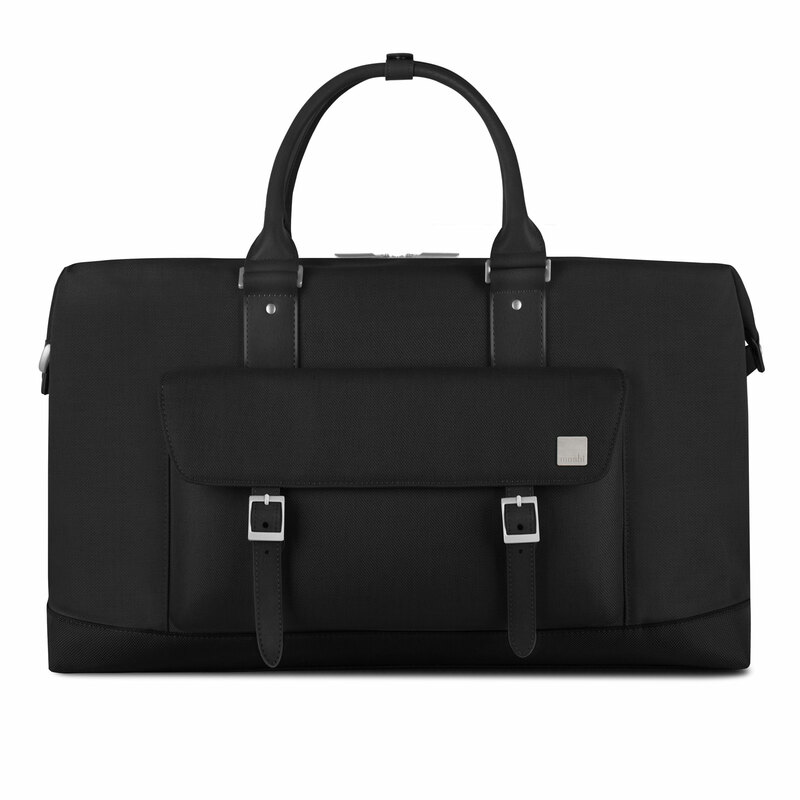 Unlike a classic weekender that lacks inside pockets, Vacanza’s padded device slot cushions a laptop up to 15”, a necessity for the modern traveller. A crush-resistant front panel protects your sunglasses and other delicate items, while a side compartment keeps your water bottle or umbrella within quick reach. The bag’s padded ViscoStrap™ absorbs weight to alleviate shoulder strain and can be worn across the body for comfortable carrying on the go. On longer trips, a rear trolley strap secures Vacanza to your rolling luggage for added convenience and security. As an added bonus, Vacanza includes a reusable wet/dry bag to store items like damp swimwear, workout clothes, and footwear so your other belongings are protected from getting wet. Holds laptops up to 15". 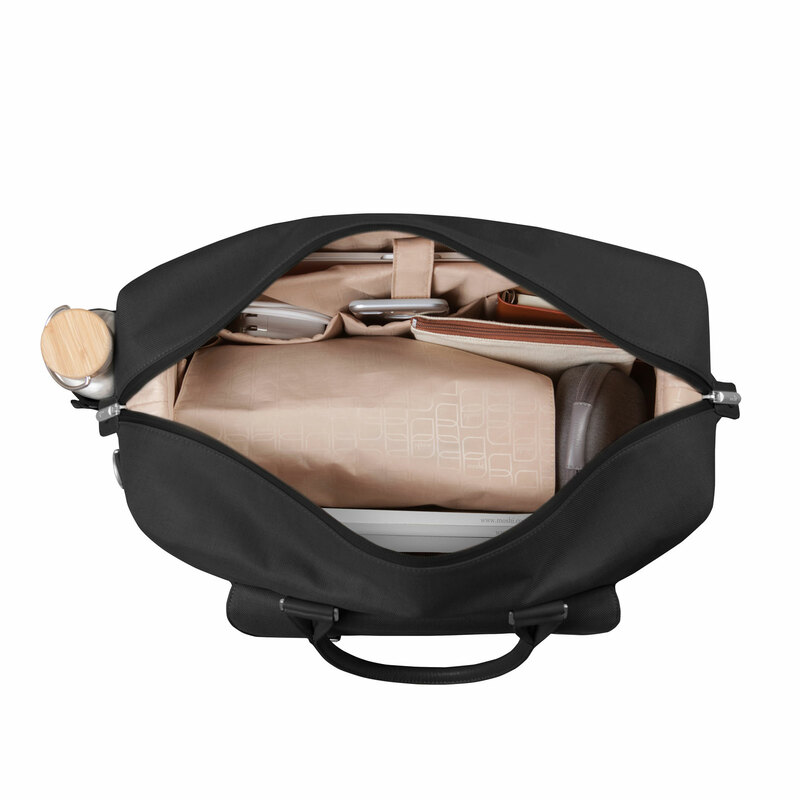 Crush-resistant compartment for delicate items. Rear trolley strap to secure bag on to rolling luggage. Includes a reusable wet/dry bag for storing damp clothes.